Rapper, actor and reality television star T.I. visited Twitter's San Francisco headquarters Thursday to announce he's dropping a surprise music release at 9 p.m. PDT on Thursday night. After parting ways with his longtime label, Atlantic, he's releasing a five-song EP called "Da Nic" independently through San Francisco's Empire Distribution. He revealed the news via a live Q&A session on Twitter, inviting users to ask questions using the hashtag #Tip911. 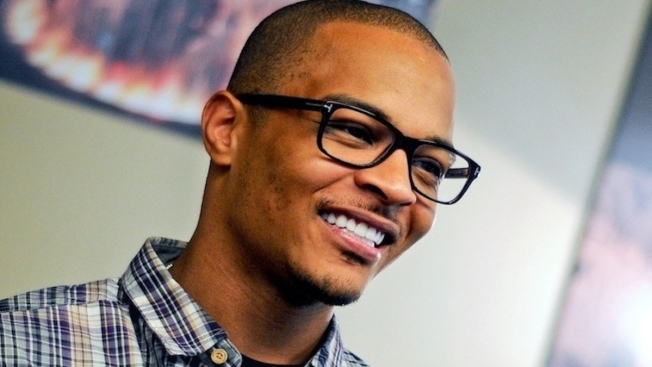 Symbolic of taking his own destiny into his hands by going independent, T.I. is also free to use his family nickname from childhood, Tip, which he was asked to change to T.I. before releasing his first album in 2001 in order to avoid confusion with rapper Q-Tip from A Tribe Called Quest. "Da Nic" is slang for another slang term, nickel bag. The five songs precede a forthcoming full-length album called "Dime Trap." Tip's day in the Bay also included visits to Pandora in Oakland and Facebook in Menlo Park.